Preheating has a couple of benefits. A print will begin faster once you click 'Build', because the hotend and nozzle are already at the correct temperature for printing. If large objects are warping (lifting at the edges), preheating can push warm air into the printing chamber and help keep everything warm before beginning. Make sure the 'Extruder' toggle switch in blue, on screen. Then double check the temperature your material prints at. You can change this by clicking on the rectangular box. Click 'Start' and the hotend and nozzle will begin to heat up. It should be a couple of minutes before they get to the right temperature. 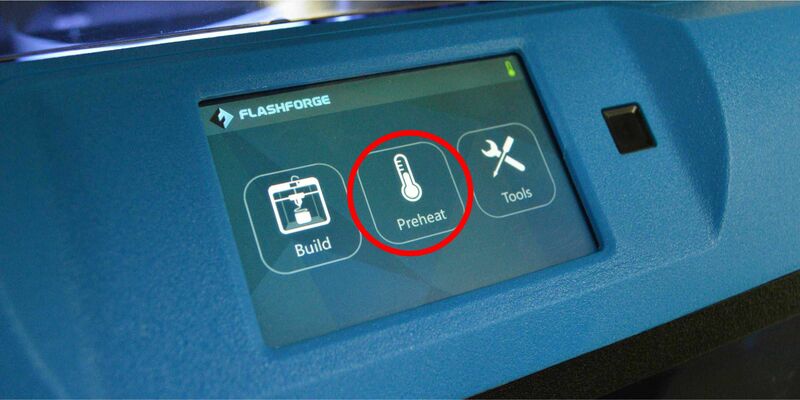 Please be aware, that the hotend will stay at the desired temperature, until you abort the preheating process. 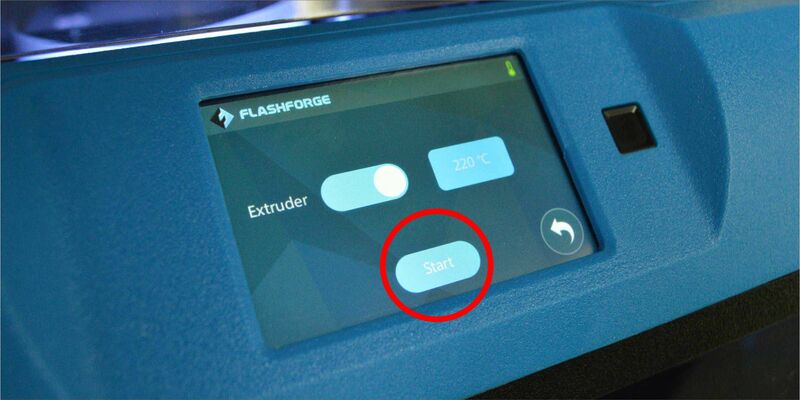 NOTE: If you click 'Start' and the hotend does not heat, you may need to restart the printer. This is a recent bug that is being fixed. You've now successfully preheated your Inventor IIS.